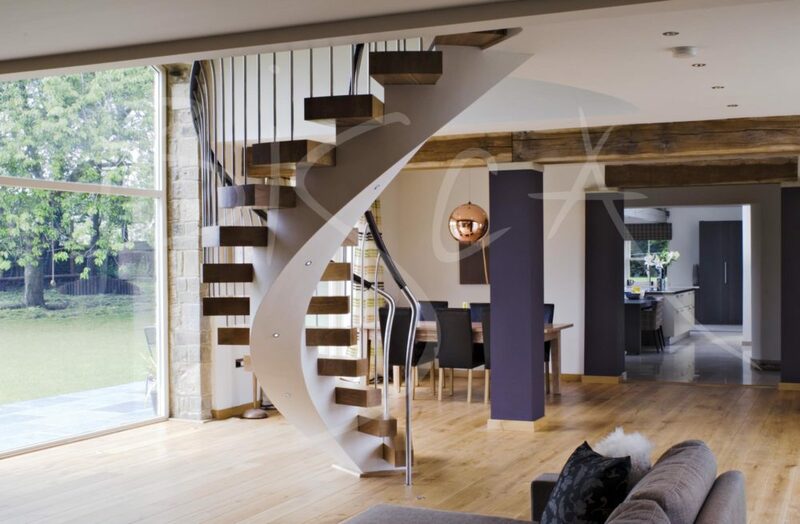 A bespoke helical stair creates an outstanding feature in an open-plan living space. Satin finished continuous oak treads and risers support a striking white plastered soffit. 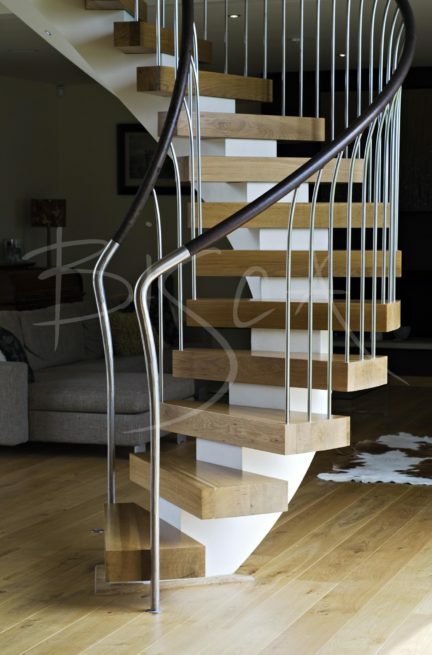 A satin finished stainless steel balustrade with matching handrail rises from the treads. Uprights curve gently outwards to meet the handrails, increasing usable stair width. Steel bezels finish the leather handrails where they meet floor and walls. 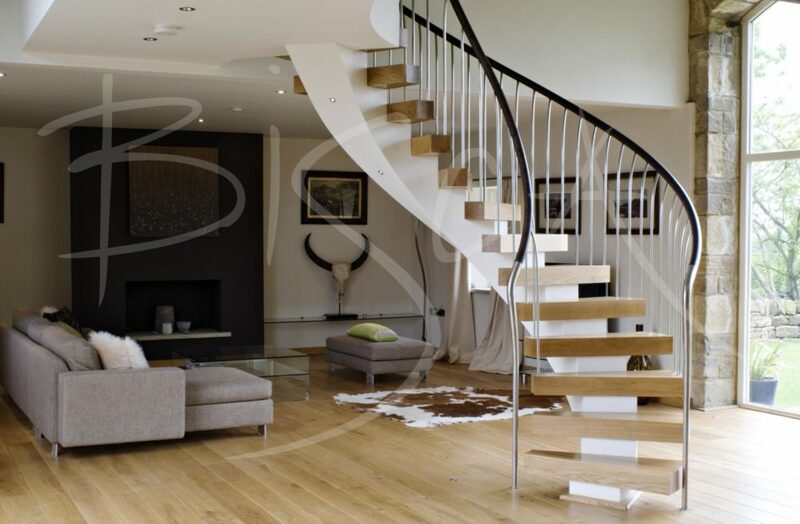 Despite being one of our older designs, this bespoke helical stair is still a great favourite with editors and clients alike. To get a guide price for a staircase based on this design please mention reference 1943.